We never met a stump that could stand up to our stump grinder in Redwood City, CA. That means that if you have a nasty, older one sitting in your yard that you need removed – we can take care of it. Stump grinding is a specialized skill requiring the use of a large machine with a spinning blade that can destroy a stump methodically. The operator simply moves the blade back and forth across the top of the stump reducing it with each pass. We use stump grinders after removing trees. The spinning blade chews at the stump and grinds it up into small chunks of wood. The operator keeps moving the blade across the surface until the stump is reduced to a level just below the surface of your yard. Our equipment can fit in just about any yard requiring as little as 36-inch clearance in order to properly access the stump that will be removed. We also use the grinder to grind up surface roots, or if you prefer, we can prune them. Stump grinding produces valuable wood shavings that can be used elsewhere in your garden or yard, or we can just haul them away (for a disposal fee). 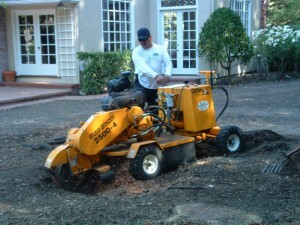 For more information on stump grinding contact us at Econo Tree Service today by phone or e-mail. Henry Kramer, a Certified Arborist, established Econo Tree Service 25 years ago in Redwood City, California. It grew quickly as the demand for professional tree care services increased. Servicing all communities on the Peninsula from Millbrae to Santa Clara, we have customers ranging from homeowners to contractors as well as property management companies. Because we realize that stump removal after a tree removal job is different from one job to the next, we do not have a flat rate for this kind of work. Different size stumps take different amounts of time and there are other factors to consider. This is why we prefer to visit your property to inspect the job site and properly assess the job we will be doing for you. This also means we can formulate an accurate cost estimate for you. Expect a professional, efficient and timely removal of that old stump in your yard when you contact our Redwood City tree service at Econo Tree Service. 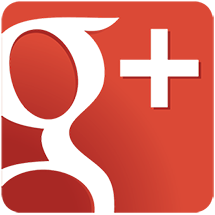 In fact, call or e-mail us today for your free estimate on our stump removal service or any of the other programs we offer.